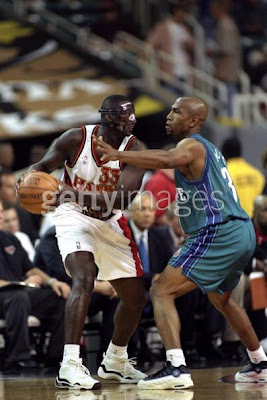 The year is 1997, everyone knows about the Bulls winning another Championship. Something you may not know is that the first Harry Potter book was released. I didn't know this, but I also haven't read any of them so this may not be news to anyone but me. 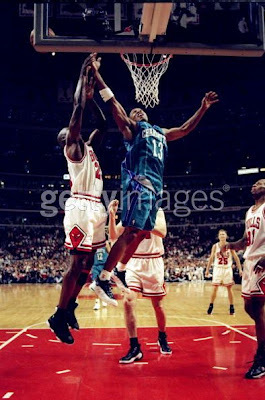 Also in 1997 in a completely unrelated event Converse entered the new season with a new basketball sneaker called the Elevate. 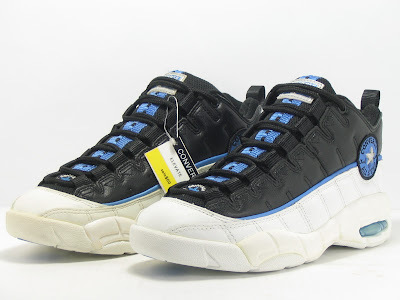 There were a few different colorways of the Elevate, but I could only find these. 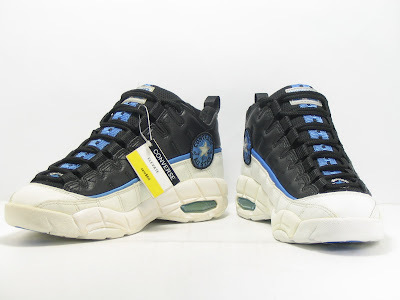 Brevin Knight, Bobby Jackson, Ben Wallace, Bobby Phills, and others laced these up at some point in the 1997-98 season. The Elevate featured React Jucie in the heel and the use of the ghillie lacing system. 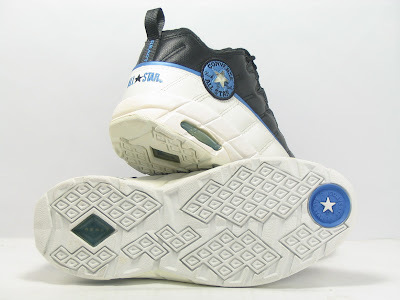 Another interesting feature below is the diamond outsole which goes back to the Chucks. As you can see the design was set up really well for some nice colorways and Player Exclusives. So I tried really hard to find some pictures, but I had to go to gettyimages, so please excuse the stamp, I haven't paid for a membership yet. 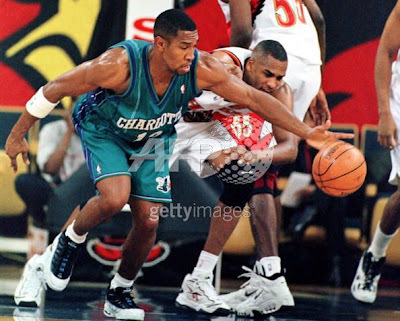 Stamps aside, you can see in the first three pictures the late Bobby Phills sporting the Elevates pictured above. 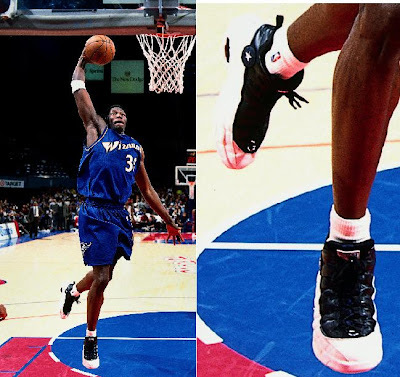 Then in the last picture you can see Ben Wallace in the white/black colorway. Well that's all for today, It's getting really close to 3000 hits and I think we're going to make it, but if can please spread the word. Thanks again for reading and enjoy your weekends, I'll see you on Monday.